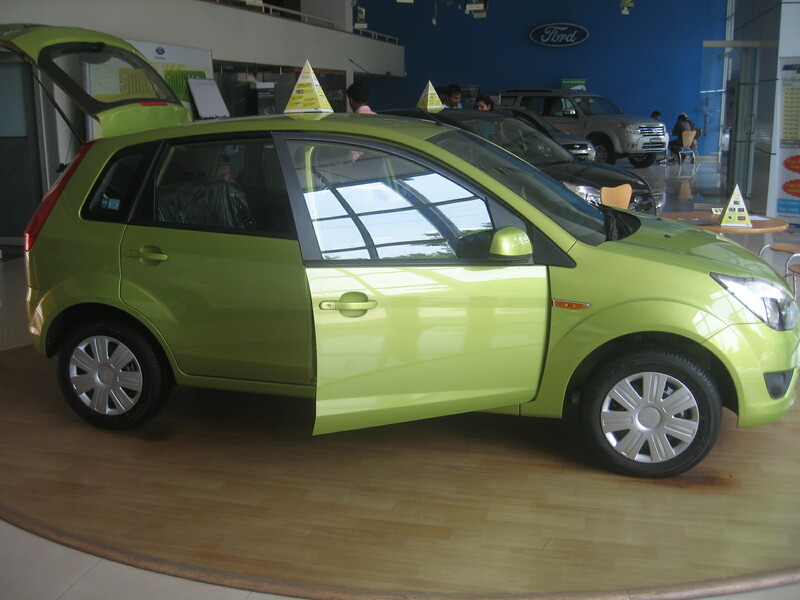 Segment B+ hatchback review – 2010 / Ford Figo is the winner! | Globonomics! 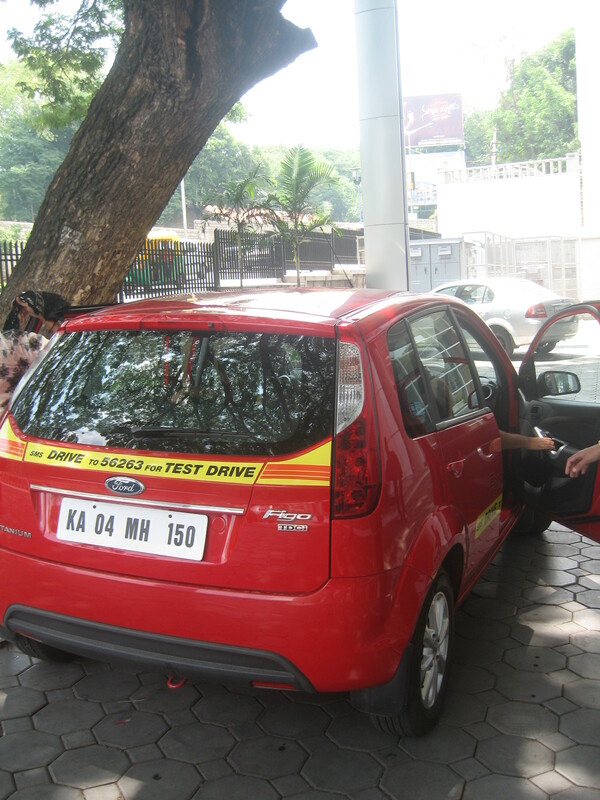 I test drove each of these and finally chose my winner – the Ford Figo. 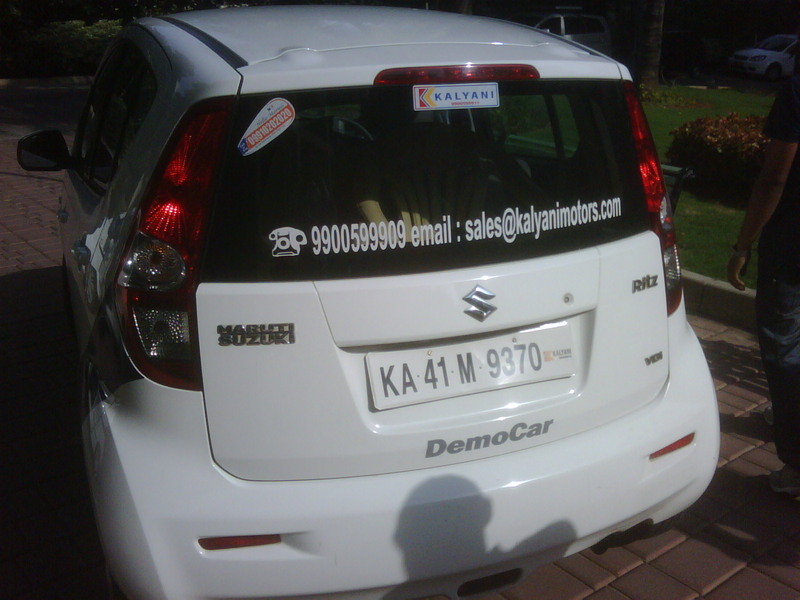 (There are others such as the FIAT Grande Punto, the Chevy Beat etc. 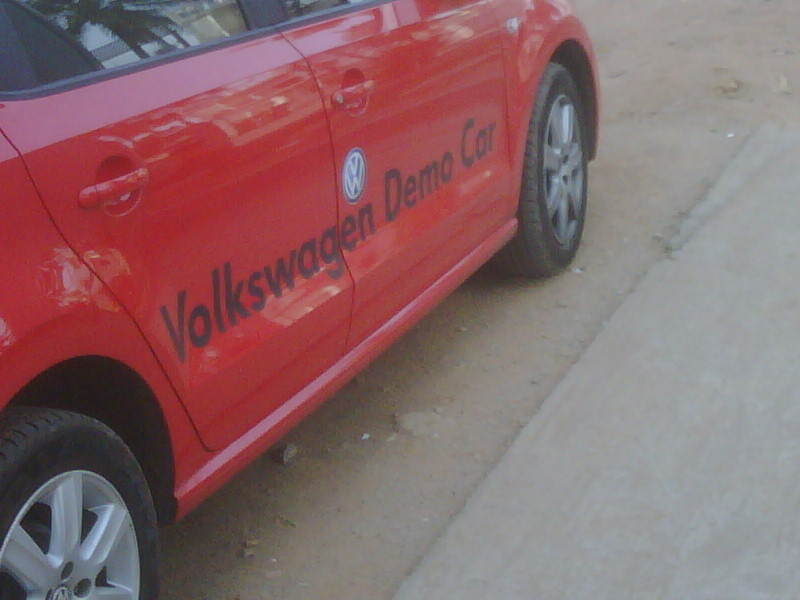 but I did not bother about them due to their poor service network though I must admit that the FIAT Punto is a stunner and I saw this on the Bangalore roads). Here’s my analysis with pictures. This was easily the best in this segment and Ford has a winner on their hands here. The feel is good, the drive is great, the gear shift is slick, the fully loaded version comes with Kenwood stereo, the view of road and overall handling/drivability is superb. Other factors above are satisfied with this as well. Ground clearance is about 163 mm which is ok. 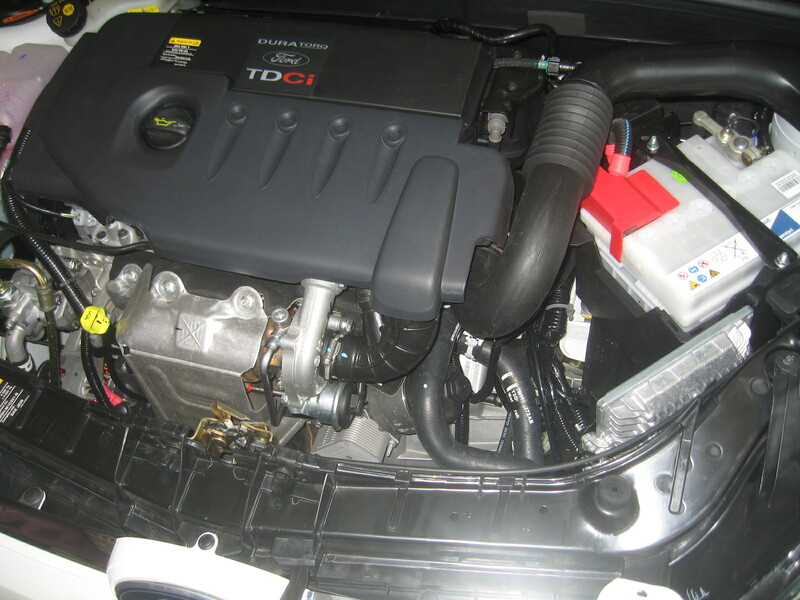 The engine of the Figo is the same as that found in the Ford Fiesta that has been tried and tested already on the Indian roads, the performance is great, the Indian consumer basically knows this car in a different avatar already (it’s like the iPhone and iPad – iPad being the extension of the iPhone). The suspension/shockers are great. It’s a quiet car overall and just feels great as an overall package. Braking was great and the car traveled with a definite maturity over road bumps – all thanks to Ford’s learning from it’s sedan Fiesta predecessor. 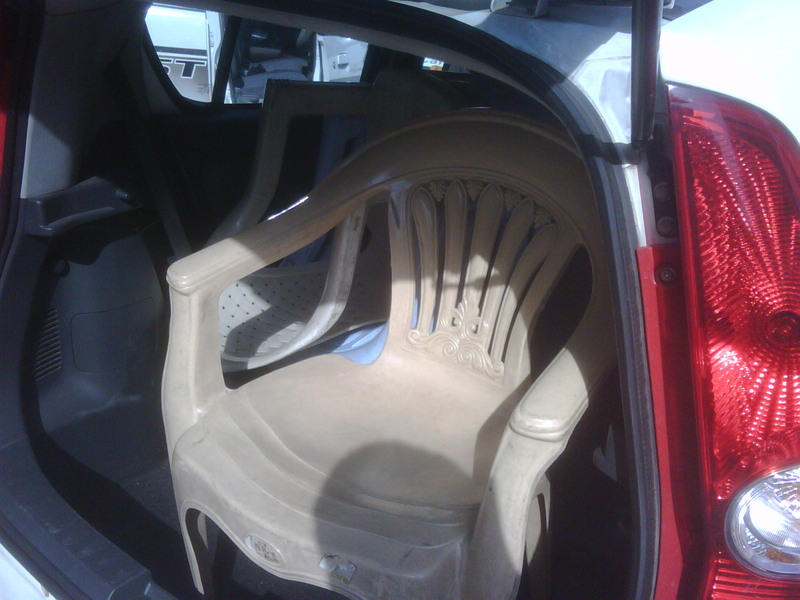 Boot space looked good and rear seating ok. The wheels are not alloy etc. but ok will pass. 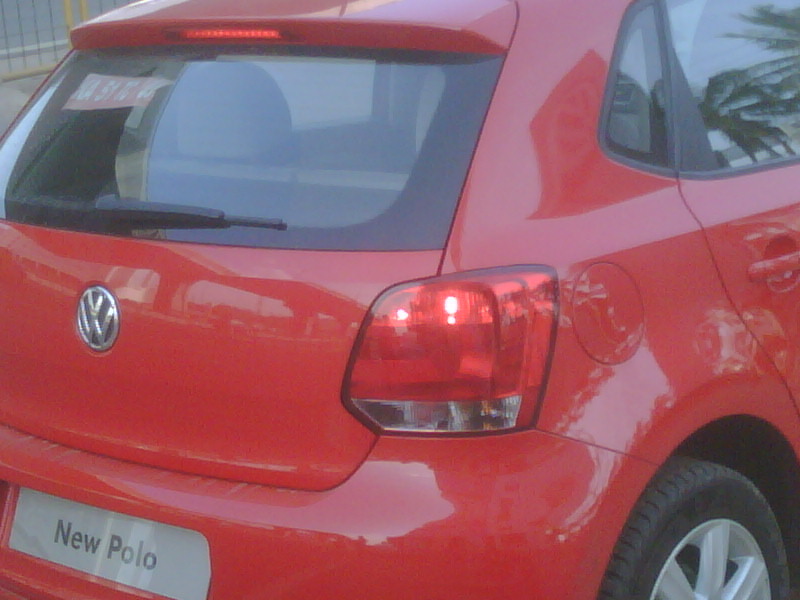 Here are some pictures I took of the Figo earlier today morning at Metro Ford, Palace Road, Bangalore. I have blocked this as the waiting period for this car is 1.5 months due to high demand. I looked at the ZXI though the highest end variant is the Titanium. Negatives include no power windows for rear seating and the left hand drive indicators not customized for India. This was a great sturdy typical German engineering no-nonsense vehicle. However, the suspension was a big letdown. The Hosur road showroom from where I test drove this vehicle was still some time away from being called ‘large’ by any standards of Maruthi or Hyundai or even Ford! The turning radius is great, cornering is great, the variants on the 1.2 Diesel are good – the TrendLine and the ComfortLine and the high end version. 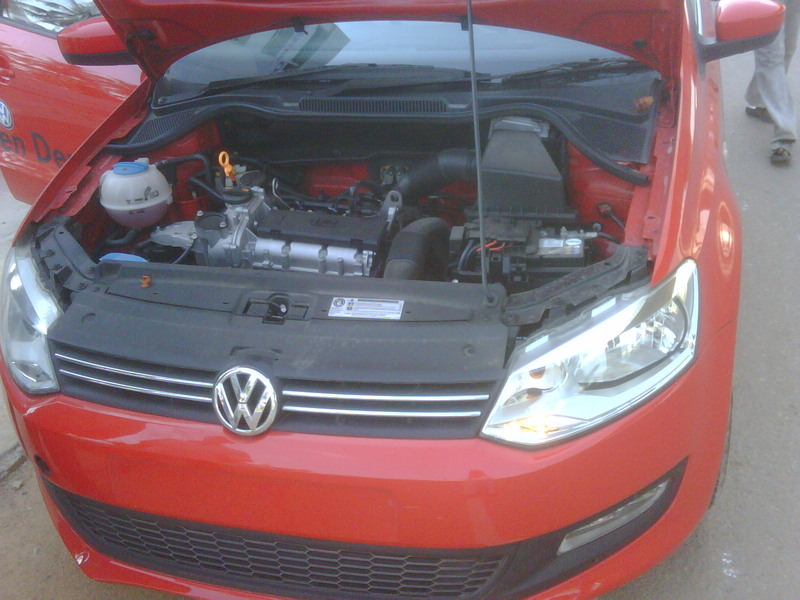 The boot space is great, this is a typical German engineering marvel handling very well though and gear shift is slick. For reverse you have to press and engage the car. The recent ad’s of the guy trying out stunts to do such analysis reflects well of Volkswagen’s attention to detail to cater to this 70% dominated segment in the Indian auto market. They would be foolish to ignore this segment but for now given how poor their service network is and their suspension not exactly meeting my expectations, I am going to pass this car for now. 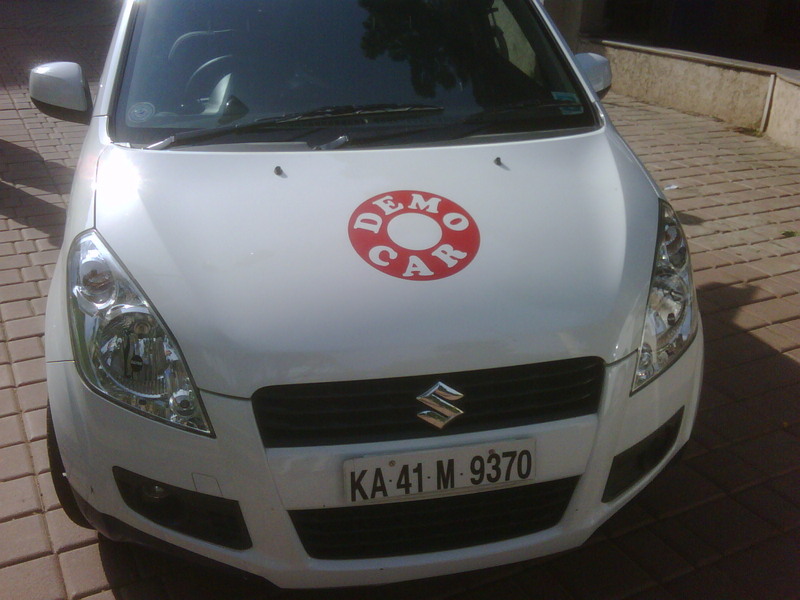 This is really a poorly made car and am surprised Suzuki even allowed such a lousy car to be made for Indian conditions given Maruthi’s high standards and reputation in the Indian entry level car buyer’s market! This was a no-brainer to say no to this car. Like I said, I test drove each of these cars to give my verdict and I am a car affectionado so I rarely go wrong on my analysis as it’s comprehensive as anyone following my past car reviews can tell. « My iPad – first impressions! Hi Naveen, I read your review about three cards. I too test drove Ritz and Figo, both petrol variants. No doubt figo was good, but somewhat slow in pickup. Ritz was, i think, good in pick up. Pls suggest me a car from both these taking intoaccount mileage, after sale service, spares and their scenarios, say after 7-8 years of driving the car. Thanx. Very good post. 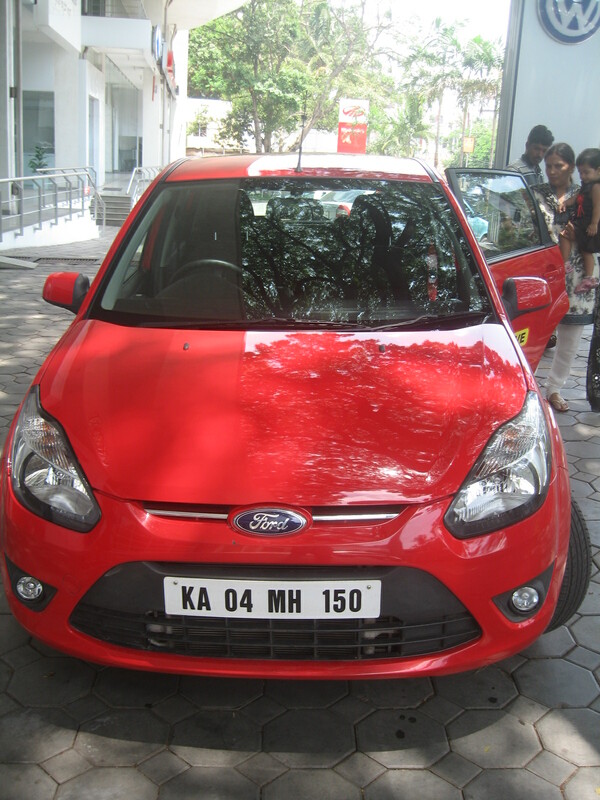 Ford Figo has got decent looks with neat finish and great pick up. Sharing my personal experience – Most of the time i find people giving a definite glare at my car. 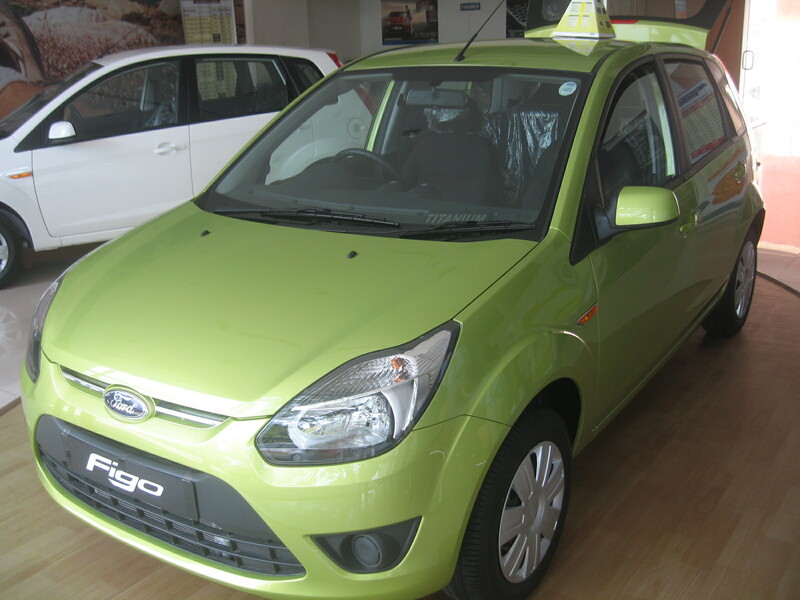 i have also bought a ford figo petrol version. 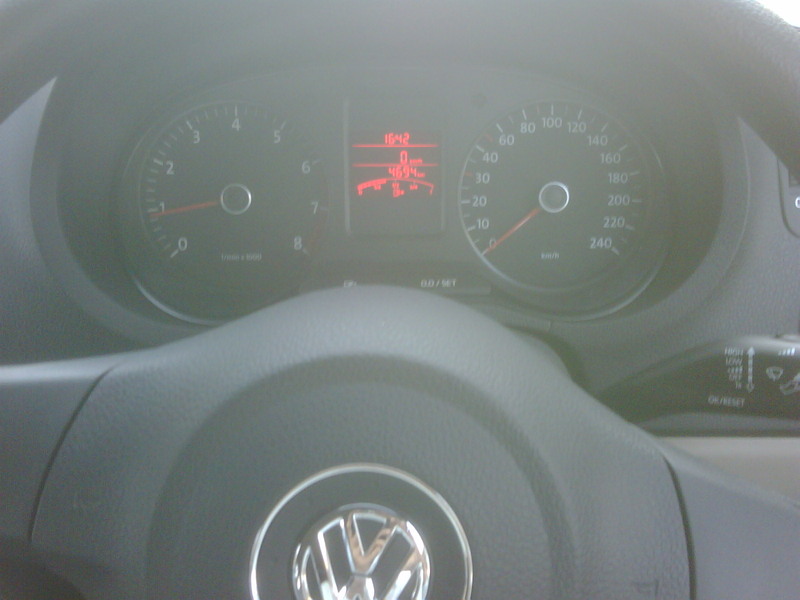 I m driving it since 3 months. Now i personally found that figo has some advantages as well as some disadvantages. Space,music system,looks, and comfort is very good. Mileage and ,ground clearence is bad.still a very nice car. 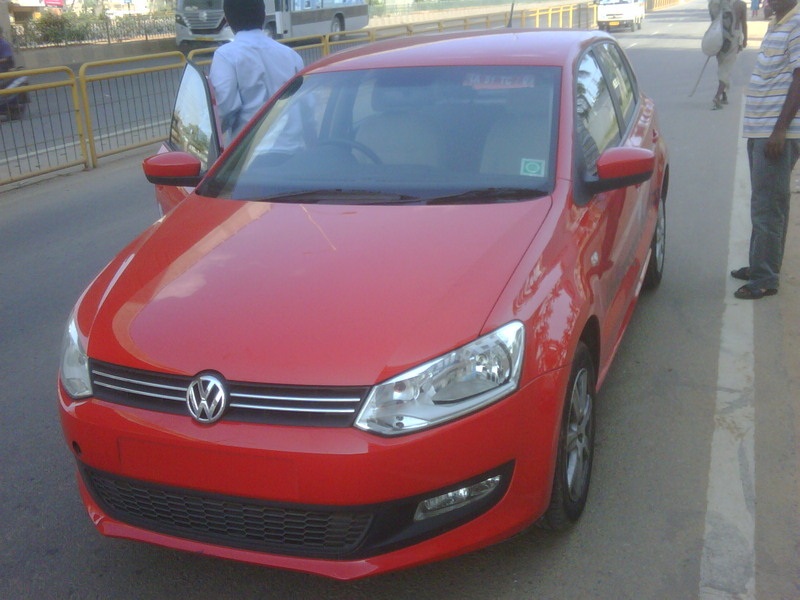 Priced beautifully……….i love my figo. Can you please tell me how’s the after sale service by Ford in Bangalore? Cost & Quality wise?